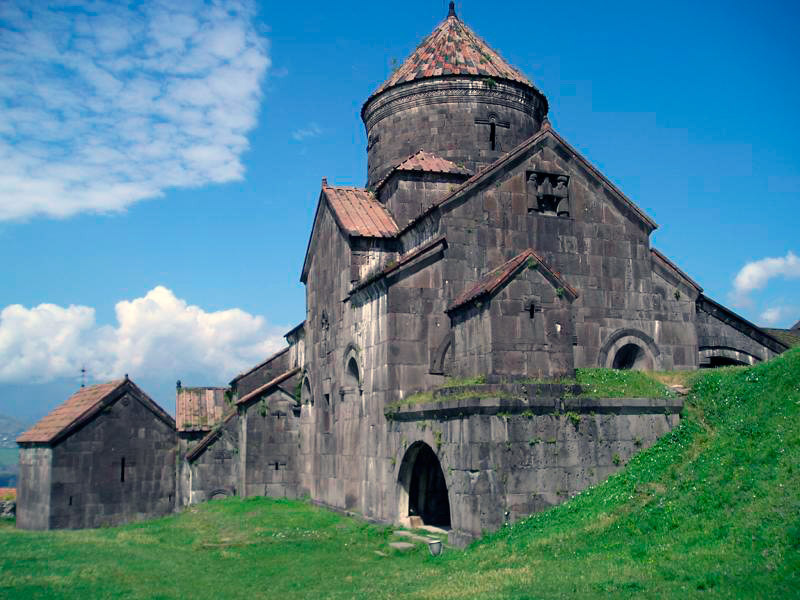 In the North of Armenia (Lori region, Alaverdi town), there is one of the most famous monastery complexes called Haghpat. Haghpat Monastery was included in the list of monuments of the World Heritage of UNESCO in 1996. 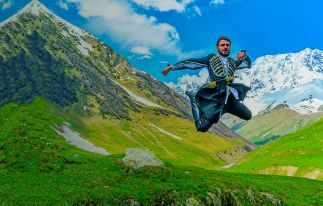 The settlement and later village of Haghpat existed before our era. The monastery itself was built in the 10th century. The first building of the complex was the Surb Nshan temple. After the territory became part of the Georgian kingdom, the monastery complex was actively developed. The name of the monastery has many legends. 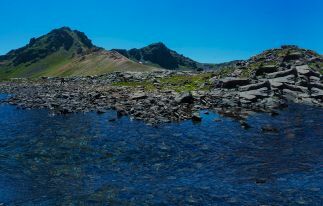 According to one of the legends, the prince of Sanahin (the second large monastic complex in Lori region) invites the master for the construction of the monastery. The master comes with his son. During the construction, there rose a dispute between son and father and son leaves. 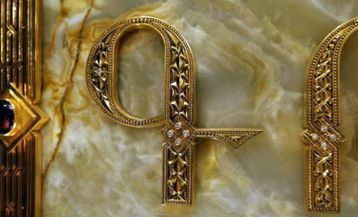 On his way, the son of the master meets another prince who invites him to build a new temple. When the walls of the new temple rise and become visible from Sanahin, the master goes to the monastery to assess the work of his son. Admiring the work of his son, the master exclaims “Ah pat” (Oh, what a wall!). So the monastery got its name. At one time, a school and a printing house operated in the monastery complex of Haghpat. Oratory, philosophy, music and other subjects were taught in the school. 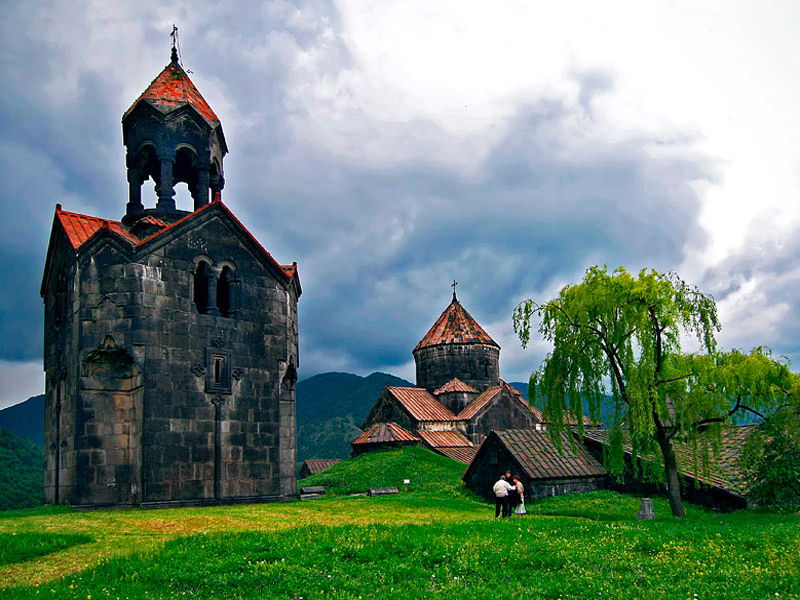 Haghpat was considered the religious center of Northern Armenia, eclipsing the second largest complex of the region, Sanahin. The monastic complex is quite complex: it is very easy to get lost in the passageways of buildings. Climbing the main staircase, you will see the small church of St. Grigor from the basilica, the main church of Surb Nshan and gavit are located behind this small church. To the left of the gavit is the church of St. Astvatsatsin. 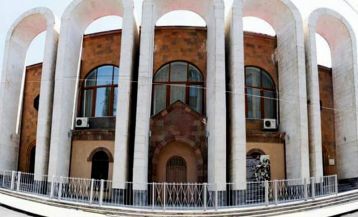 There is a unique building located behind St. Astvatsatsin. It looks like a barn, actually , t is “the gavit of Amazasp”, which is considered to be the largest porch in Armenia (330 sq m). 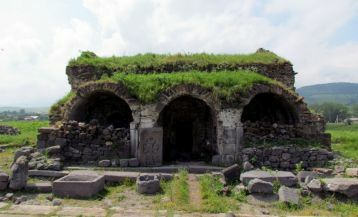 A temple is attached to the gavit, there is a memorial plaque on the wall of gavit in honor of the poet Sayat-Nova’s stay in the monastery of Haghpat where he continued to create. According to the locals, he lived in a monastery until his death. There is also a bell tower on a hill, a refectory, a library and farm buildings in the monastery complex.